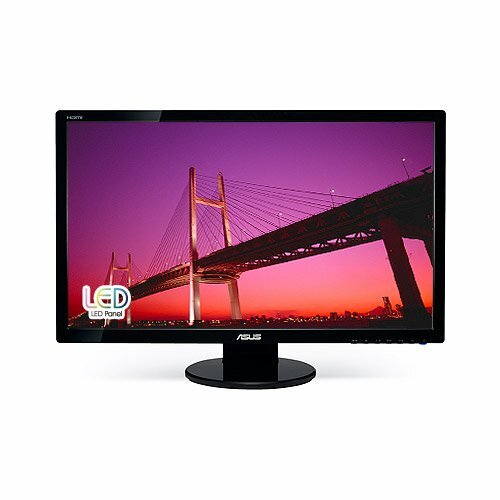 VE278Q LED – 27" 1920x1080 Full HD - Full HD 1920x1080 with HDMI - LED Backlight with 10,000,000:1 ASCR and 2ms - Display Port to support simultaneous connectivity,Warranty: 3-year system warranty, 3-year panel warranty and Free pick-up service (in specific countries).Analog: 1x VGA. Digital: 1x HDMI, 1x DVI-D, 1x DisplayPort. Audio Input: 1x 1/8" (3.5mm), Headphone Jack: 1x 1/8" (3.5mm). Hub Ports: None,Speakers: 2x3W. Mount: VESA Wall Mount (100 x 100mm).What’s in the box: ASUS VE278Q 27" Widescreen LCD Computer Display, DVI Cable, VGA Cable, Audio Cable, Power Cord, Quick Start Guide and 3-Year Limited Warranty.